Books are not going anywhere. But the myth that they are disappearing is likely to endure. Yet despite the increasing realization that digital and print can easily coexist in the market, the question of whether the e-book will “kill” the print book continues to surface. It doesn’t matter if the intention is to predict or dismiss this possibility; the potential disappearance of the book does not cease to stimulate our imagination. Why is this idea so powerful? Why do we continue to question the encounter between e-books and print books in terms of a struggle, even if all evidence points to their peaceful coexistence? The answers to these questions go beyond e-books and tell us much more about the mixture of excitement and fear we feel about innovation and change. In our research, we discuss how the idea of one medium “killing” another has often followed the unveiling of new technologies. Even before the advent of digital technologies, critics have predicted the demise of existing media. 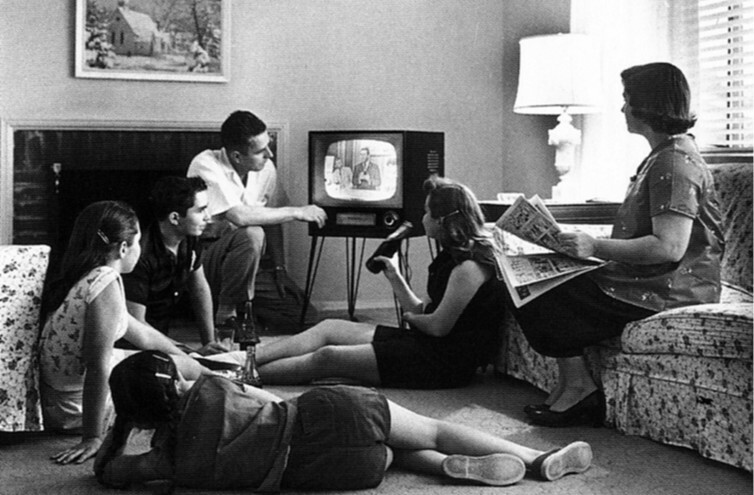 After television was invented, many claimed radio would die. But radio ended up surviving by finding new uses; people started listening in cars, during train rides and on factory floors. The myth of the disappearing book isn’t new, either. As early as 1894, there was speculation that the introduction of the phonograph would spell the demise of the books: They’d be replaced by what we today call audiobooks. This happened again and again. Movies, radio, television, hyperlinks and smartphones – all conspired to destroy print books as a source of culture and entertainment. Some claimed the end of books would result in cultural regression and decline. Others envisioned utopian digital futures, overstating the advantages of e-books. It is not by chance that the idea of the death of the book surfaces in moments of technological change. This narrative, in fact, perfectly conveys the mixture of hopes and fears that characterize our deepest reactions to technological change. To understand why these reactions are so common, one has to consider that we create emotional bonds with media as they become an integral part of our life. Numerous studies have shown how people develop a close relationship with objects such as books, televisions and computers. Sometimes, we even humanize them, giving a name to our car or shouting at our laptop for not working properly. As a result, the emergence of a new technology – like e-readers – doesn’t just indicate economic and social change. It also causes us to adjust our relationship with something that has become an integral part of our day-to-day life. As a result, we find ourselves longing for what we used to know, but no longer have. And it’s why entire industries develop around retro products and older technologies. The spread of the printing press in 15th-century Europe, for example, made people seek out original manuscripts. The shift from silent to sound movie in the 1920s stimulated nostalgia for the older form. The same happened in the shift from analog to digital photography, from vinyls to CDs, or from black-and-white to color television. Not surprisingly, e-readers stimulated a new appreciation for the material quality of “old” books – and even for their often unpleasant smell. The ones who still worry for the disappearance of print books may rest assured: Books have endured many technical revolutions, and are in the best position to survive this one. Yet the myth of the disappearing medium will continue to provide an appealing narrative about both the transformative power of technology and our aversion to change. In fact, one of the strategies we employ in order to make sense of change is the use of narrative patterns that are available and familiar, such as narratives of death and ending. Easy to remember and to spread, the story of the death of media reflects our excitement for the future, as well as our fear of losing parts of our intimate world – and finally, of ourselves.